77% of American adults now own smartphones. Consequently, more people than ever are likely to reach to their phones rather than their computers in order to visit your website. However, businesses frequently underestimate the importance of having a website that looks good on mobile devices. In a recent article, we talked about mobile websites, and explained how they differ from desktop or “full” websites. In this article, we have gathered some of the best studies on mobile websites, and we have found that mobile websites aren’t just a nicety to be added when your company has the extra time and money to spend; they are an essential component of any business’s web presence. Here are four reasons why. 1. Mobile sites boost SEO and can improve conversion rates, as shown in this study. According to a study, In November of 2015, footwear retailer Offspring launched a responsive mobile website, and saw a 15.19% increase in their mobile/tablet conversion rate. The company’s decision to go mobile also had an immense influence on their search engine rankings: their visibility on the first page of results increased by 77.59%. Offspring’s switch to mobile shows how a mobile website can directly influence sales and brand visibility. Aside from a higher conversion rate, their redesigned website was in a better position to attract more customers. According to research firm Statcounter, mobile web use surpassed desktop web use worldwide in October 2016. Statcounter, which keeps data on page views to over 2 million different websites, recorded the type of device used in those visits and demographic location of the device used, among other information. The ongoing study has revealed that U.S. web users now slightly favor mobile devices, such as tablets and phones, over desktop devices. And while desktop web use still constitutes a large portion of U.S. web visits, web users have trended towards mobile use in recent years, as is suggested by the next study. A study by StoneTemple looked at 2.0 trillion web visits in 2017 compared to 1.9 trillion recorded in a 2016. In 2016, mobile use constituted 57%, of web visits. In 2017, the share had jumped to 63% of web visits, with desktop use constituting 37% of all visits. Given the very drastic shift from desktop to mobile web use, some predict that websites as a whole will become primarily mobile-oriented. Eric Enge, General Manager of Perficient Digital, advises to design the mobile site first, and get the basics down, like contact info and product info. “Then you can figure out how to leverage the larger screen real estate available on a desktop platform as a second step,” he says. In order to build a strong mobile website that is the basis of their web presence, small business owners without extensive web design experience will greatly benefit from partnering with a web designer or web development expert. Examination of 513 trillion visit-seconds in the same 2017 StoneTemple study found that the average amount of time spent on any given mobile website is increasing. Though the average user still spends more time on the average desktop website than the average mobile website, mobile sites experienced a greater growth in average visit time than desktop websites did between the years of 2016 and 2017. It appears, therefore, that mobile websites are getting better at keeping visitors engaged. When looking at the distribution of the 513 trillion visit-seconds in total, users spent 49%, or 251.37 trillion visit seconds, on mobile sites. The remaining 51%, or 261.63 trillion visit seconds, were on desktop. This roughly equal split, even though users spend less time on the average mobile website than the average desktop site, suggests that mobile users switch among websites more rapidly. Therefore, it is especially important for a mobile website of a small business to be easy to use and have quick loading times, in order to bring in new customers who are used to spending less time on mobile sites. As these studies suggest, mobile websites can really change how you do business. 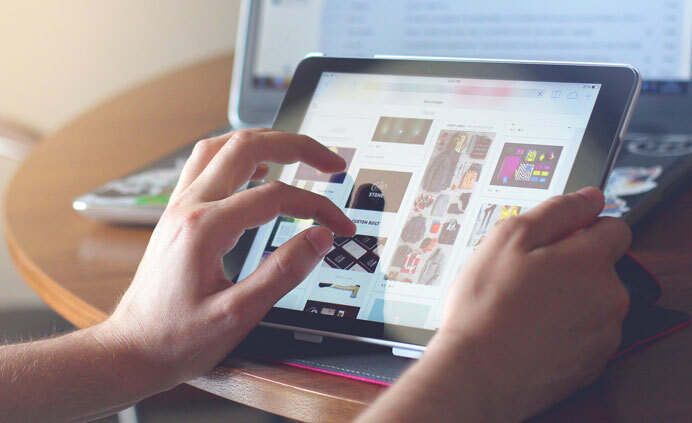 Though desktop websites are certainly important, especially for transactions, mobile websites communicate more effectively with the growing number of people who may be learning about your business while on their phone’s web browser. By making a greater investment in your mobile website, you can provide the best web design and web experience for your customers on all devices.